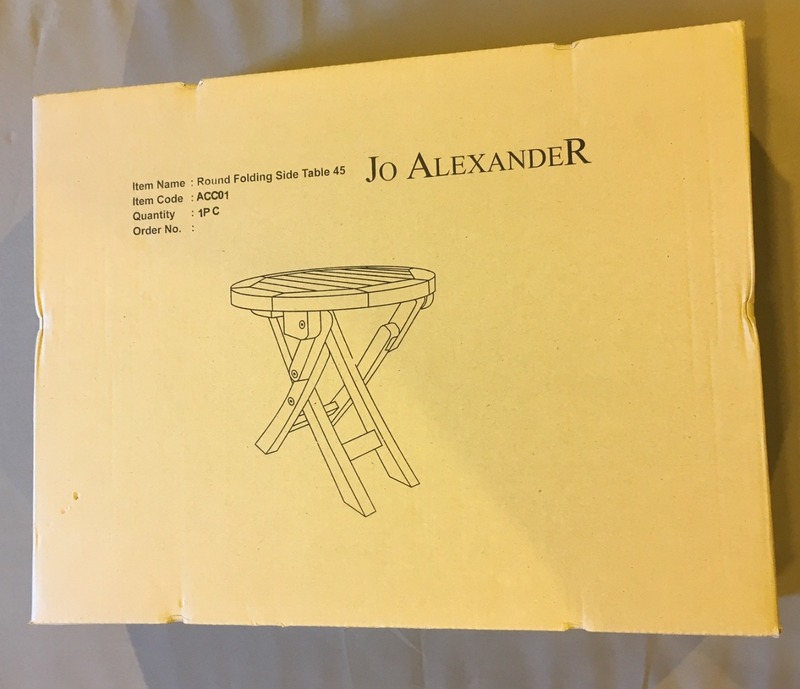 Where can I buy Jo Alexander Furniture? You can purchase Jo Alexander furniture through our website, by phone or by visiting one of our Pop up Shops (these generally take place between April to the end of August). Alternatively you could visit our Show Barn near Cambridge (Knapwell Wood Farm, High Street, Knapwell, Cambs, CB23 4NS) to view our full range of furniture and accessories. Please call us on 01954 267857 to give us one hours notice of your visit. Thank you. Where does Jo Alexander source it's teak from? We always ensure that we remain an environmentally and socially responsible company. 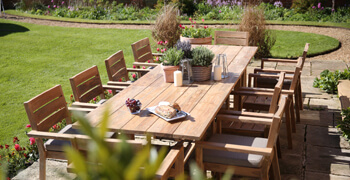 The 'Jo Alexander' produced garden furniture products are made from 'A' grade teak and come from plantation teak supplied by Perhutani – the Indonesian Government Forestry body. Teak is a close grained hardwood with a high natural oil content. This makes it hard wearing, highly resistant to rotting and almost impervious to the effects of sun, rain, frost or snow. These characteristics combine to make it the ideal timber for all outdoor furniture. Other hardwoods are often used for outdoor furniture, but they do not perform to the high standards of teak. Teak wood graded 'A' is the wood taken from the heart of the trunk where teak oil is much more concentrated. Also 'A' grade teak has more silica and rubber making it more resistant to water and insects. Coming from the heart of the teak log also means that your won't find as many knots in the wood. This means that the wood's texture is more uniform and resistant. The colour is also deeper boasting a gorgeous golden brown colour. 'A' grade teak is, consequently, more expensive than B or C grade teak. Teak wood graded 'B' (not supplied by Jo Alexander) is taken from the outer part of the heart of the tree. It still has a fairly good concentration of natural oils and is used for making furniture. The touch is not a smooth and is less shiny than 'A' grade teak. Teak wood graded 'C' (not supplied by Jo Alexander) is the lowest quality teak and taken from the outer part of the teak log. Our furniture is supplied either fully assembled (ie. 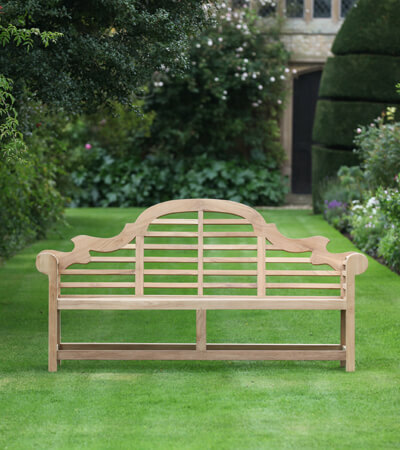 some benches*, folding tables and English/Country Garden chairs/armchairs) or flat-packed in sub-assemblies to minimise the amount of final assembly required. All flat-packed items are dispatched with a pack of fittings and assembly instructions. No glue is required to assemble our products. Most of our furniture, can be assembled within a few minutes by a single person with only a minimum of tools. Jo Alexander is happy to assemble the furniture for you (by prior-arrangement before delivery) for which a charge is made. We use one of a number of delivery services to get your order to you safely; either our own delivery team, a courier service (Parcel Force, DPD or UK Mail), or a Pallet Service (for which a signature will be required on delivery but we will liaise with you direct to ensure the pallet delivery takes place on an agreed/convenient day). Please note: Jo Alexander do not take liability of goods in transit which are sent overseas or internationally. Are the 'Stock Due' dates on the product pages an exact date? Sadly no - these dates are a general guide only and are subject to change depending on: the date the goods are finally released from the Factory in the Far East, any Shipping delays (eg. due to weather conditions), any customs hold ups, documentation delays, delivery delays once in the country. We aim to keep the 'Stock Due' date as up to date as possible on the Website and we will contact customer's direct if there is going to be any major delays to their order. Please be aware that timings can change up to 2 - 3 weeks beyond our estimated due date. Will Jo Alexander put the furniture in place upon delivery? If our driver is carrying out the delivery (as opposed to a Courier or Pallet Company) then we will aim to assist you as much as we can - time allowing. However, if you do require assistance to get the furniture in place, please ensure that you bring this to our attention prior to the delivery date so that we can build in the time and agree any charges that may be necessary. I live on the coast - will this have any affect on my furniture? If you live within three miles of the sea, you may need to be aware that the salt in the sea air can have a corrosive effect on metals (such as aluminium and Iron products). What do I need to know about setting up my Teak furniture? We would advise brushing and wiping your furniture down on arrival as there may be dust residues on the surface of the teak. Before placing cushions on the furniture, let the teak settle outside for 24 hours to help avoid transference of any dust/natural occuring oils from the wood to the cushions. Why have my cushions developed orange/yellow stripes? This sometimes happens when a Natural / light cushion is placed on newly delivered item of furniture. This happens due to a combination of dust and teak oils transferring from the wood on to the cushion. We would advise wiping down the furniture with a damp cloth and letting the furniture dry out before placing the cushions on to the item. We would advise washing any soiled covers on a 40 degree wash.
What does 'Sunbrella' and 'Sunproof' mean when talking about cushions? Sunbrella Fabrics (Trade marked) - are produced to have a longer lifespan than cotton. Sunbrella has become widely adopted for shade structures, marine canvas and upholstery fabric for both outdoor and indoor applications. With a robust performance characteristic that provides resistance to fading and degradation from sunlight and chemical exposure. The fabric is tactile yet durable is easy to care for and offers long life. Sunproof Fabrics (Trade marked) - a high performing fabric against weathering, rubbing, colour fastness to chlorinated pool water, sea water and is soil and stain repellent with anti bacterial, anti mildew and UV resistance. 100% recyclable. Can Jo Alexander replace any Fixings on the furniture in the future? Jo Alexander will aim to assist with the replacement of bolts and brackets when possible. Please e-mail a photo of the bolt(s) required to [email protected] so that we can identify the bolt(s) you require. A small charge for the replacements will be made if over the guarantee period. Replacement bolts will be dispatched from the Office once a month. (Please note: replacements may not be an exact copy of the broken/lost fixing). If we are unable to assist, we would recommend that you contact your local Hardware Store. Will Jo Alexander take away the packaging upon delivery? Yes, we can do this for you (by prior arrangement before delivery) for which a charge is made. We fully recycle all the cardboard packaging from our furniture. Do the Photographs on the website fully represent the Products? Where possible, we aim to have the correct photo against each product but there may be occasions where this is not possible. Therefore, if you are wanting to ensure that your product will look exactly as the photograph suggests, then please contact the office to check this detail. Jo Alexander uses Feefo, the Global Feedback Engine, to generate our customer feedback. Feefo is a closed invitation only platform, thus guaranteeing every single review we have received is matched to a genuine customer who has transacted with us. We remain committed to providing the best customer experience to every customer and it is through a transparent feedback process that we truly understand what we really do right and, sometimes, wrong. You can be sure that our reviews, because of our relationship with Feefo, are the opinions of genuine customers. Yes, Jo Alexander furniture can be kept outside all year round. It will get dirtier than furniture that is just used in the summer, but the long-term performance and durability of the furniture is exactly the same. If you would prefer to store furniture over the winter, we advise that you do so in a garden shed or garage. It is not advisable to store the furniture near an indoor radiator as the differences in temperature and humidity may cause the wood to split. How do I care for my teak furniture? Leave the furniture untreated to age naturally. The effects of the suns rays will bleach out the timbers natural colour, gradually turning it a soft silvery grey colour. This silver grey ‘patina’ which develops over time gives teak furniture a distinctive appearance. The silver grey colour resulting from this natural ageing process is considered to be very attractive, and allows the furniture to blend in well with any outdoor environment. Teak Cleaner will be required periodically to clean and restore your teak garden furniture. On purchasing treat with Teak Protector which maintains the golden brown colour of the teak for a long time. (We recommend that you always test the Protector underneath the furniture to ensure that you are happy with the result that it will give you). When we have extensive wet weather conditions in the UK with more rainfall than usual, garden furniture does not get a chance to dry out. 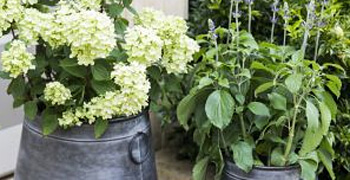 Mildew may, therefore, form, so treating with Teak Cleaner will help with this. 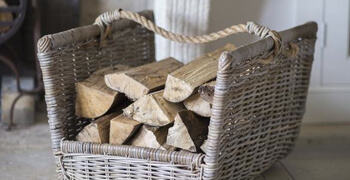 We do not recommend the use of high pressure hoses as this may "chip out" small pieces of teak wood. 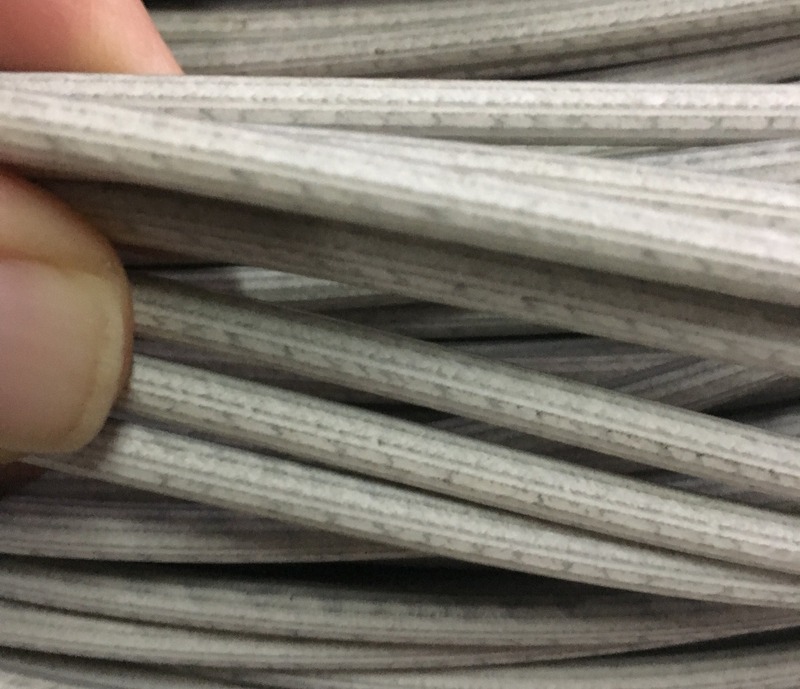 We also do not recommend the use of steel wool or steel wire brushes. 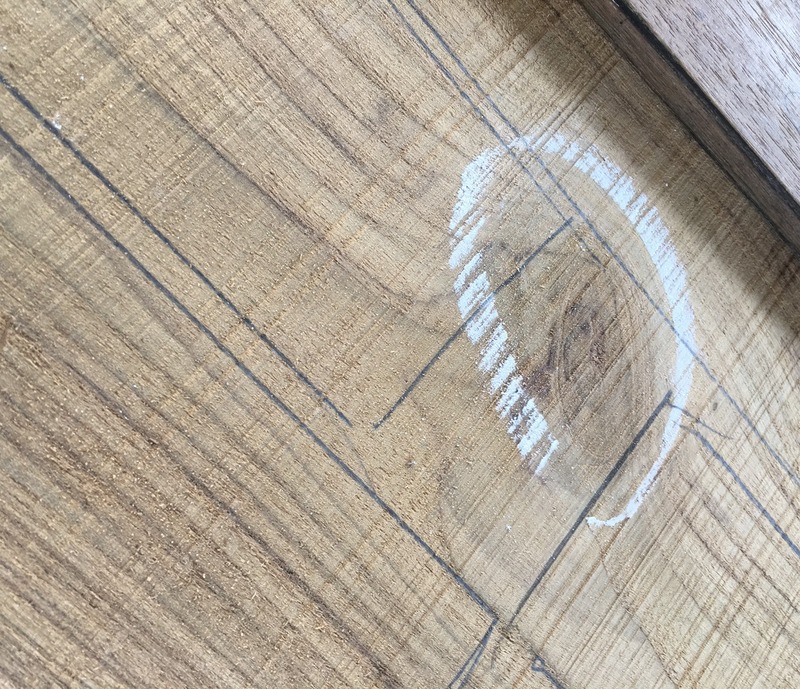 These can cause grooves to be formed along the grain of the wood during brushing and secondly can cause rust marks in the grain of the wood from steel residues. You could also clean your furniture with some warm mild soapy water and a soft bristled brush. Wash down afterwards with clean water. If the furniture has some stubborn and heavily ingrained stains, these can be removed by sanding with a fine grade of sandpaper, being sure to work only with the direction of the timber grain. After sanding stains away like this, if the furniture was previously teak oiled you may wish to re-oil, or if it had previously been left natural, the fresh colour exposed by sanding will soon mellow in with the existing silver grey patina. Please also note that our team is always ready and willing to help should you wish to call us for additional advice. How do I protect my furniture in the Winter? In order to protect your furniture in winter, (if not storing away in the dry) we have available sturdy furniture covers prolonging the use of your chosen furniture. These come in various forms including round/oval/rectangle set covers. We also have two sizes of parasol covers. 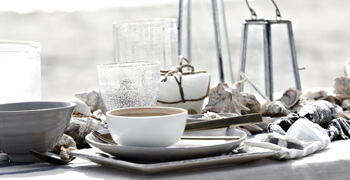 If covering wooden teak furniture, we advise that you enable an air flow around and over the table top and chairs to prevent mould growing and to avoid water settling and penetrating through the cover. Why does my teak furniture sometimes look patchy and dark in areas? Teak is a natural material, which will change colour with time and exposure to the climate surrounding it. The occasional dark patches are found as a result of the natural, biological process in the starches, moistures and natural oils present in the timber. These patches gradually disappear as the teak matures with age. Why has a crack appeared on my furniture? It is normal to have fine cracks on the furniture as teakwood is a natural material which expands and contracts with weather changes. Consequently, cracks can appear and disappear with time. This will not affect the life of your furniture. What can I do if Wasps are eating the teak? When wasps are looking for materials to build a home, they can start nibbling away at your teak garden furniture. We have a couple of suggestions which can assist with this problem. If you already use a teak protector on your furniture then by mixing in a repellant of 1 part eucalyptus oil, 1 part menthol, 1 part citronnella (into the protector), this will deter the wasps. Use it sparingly and do not saturate the wood. If you don't wish to use a teak protector then an alternative solution is to hang a Waspinator in your yard. Wasps are territorial and if there is another nest, they will avoid the area. This is a clean, simple and environmentally friendly way to eliminate a nuisance pest. What quality of stainless steel does Jo Alexander use? The stainless steel is made from 304 grade steel, which has a minimum of 8% nickel and a minimum of 18% chrome. What is the Jo Alexander Wicker made from? The wicker is made from ecolene ™ which is a polyethylene synthetic wicker that has been developed to meet all standard specifications for outdoor furniture. It has specifically been designed to prevent cracking, peeling, breaking and fading. How do I clean Stainless Furniture? To remove small marks and dirt simply use warm water and a clean cloth. Do not use cleaners containing chlorine. Stainless steel cleaner can be used to maintain or restore the polished look. How do I clean Wicker Furniture? When cleaning it is important to use a non-foaming cleaner on woven furniture, as a foaming product will leave residues in the gaps in-between the weave which will then attract dirt. A pressure hose on a low setting is acceptable to use on wicker furniture.